Few organizations, large or small, could survive without an auto attendant phone system. In our “We Want It Now” society, callers expect an instant response. No number of live receptionists could meet that kind of demand! Auto attendants enable small businesses to present themselves as larger than they are. In addition, they function as first-line gatekeepers, filtering out calls not related to serving customers. Before auto attendants, it was easy for crafty salespeople to fast-talk the receptionist into connecting them with management. If not configured properly, however, this aspect of an integrated business phone system can cause customer dissatisfaction. For example, the Mid-Michigan District Health Department (MMDHD) found that between 2002 through 2009, 49% of its customers’ negative comments related to its hybrid phone system of auto attendant and Interactive Voice Response System (IVRP). 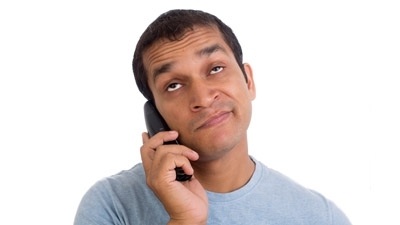 The frustration with auto attendants phone systems derived from customers being routed to the wrong departments and representatives. Whenever that happened, staff productivity dipped because live help had to intervene to solve the problem and calm down the customer. Clarifying phone menu options. This required understanding how callers viewed the category of services and how those categories were labeled on the menu. Expanding menu options. As this is planned, designers have to decide how to configure the tree. Callers should not have to listen to a long laundry list of choices. Standardizing the menu throughout all locations. Don’t change tree options often. Repeat callers (that is, your regular customers) will come to know the tree, and they often dislike change. Avoid insider jargon. Prospects for the business might decide to hang up and call a company less inward-looking. Eschew using the system for marketing opportunities. For example, don’t jam a discussion of new products and services in there. This is not a smart way to fill wait time. Another critical issue in the customer experience is when to present the option of being routed to a live human. Despite the explosion in online and digital communication, speaking to a person over the phone is still the preferred mode customers use for service. But if you offer the option too soon, it reduces cost savings from the system. Do it late into the menu and you might have created an angry customer. Is there room for innovation in programming an auto attendant? Certainly. If your company cultivates a cool image, you might include humor and slang. You could go the extra step and include hit music during wait time. Try different things; seek feedback; continue developing your auto attendant phone system until it fits your business perfectly. You don’t want to be on autopilot for this one. Scott Resnick is the President and Owner of Today's Telecommunications Industries, LLC (TTI) in Houston, TX. For the past 39 years, Scott has been instrumental in serving the telecommunications needs of some of Houston's largest and most influential companies. TTI is one of the largest NEC dealers in the United States. Scott is an avid baseball fan, loving father, husband, and a world traveler.